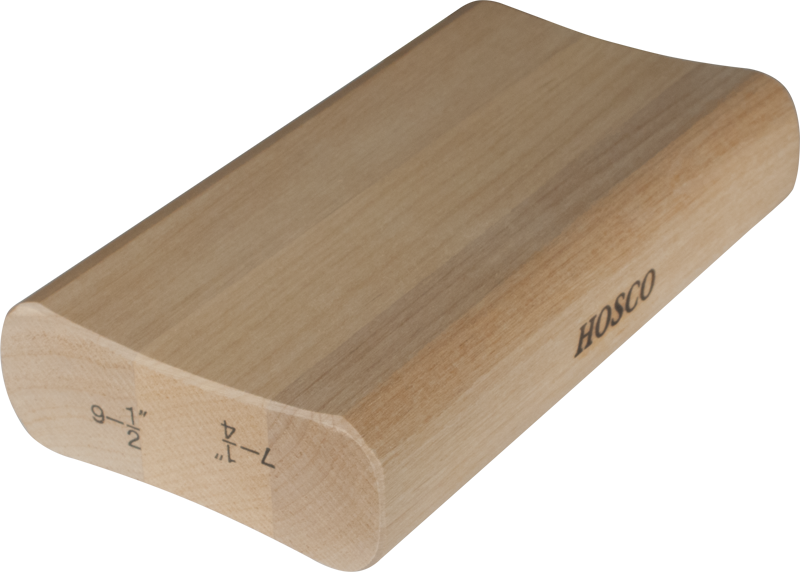 Two-way sanding block for sanding frets at two sizes. Sandpaper not included. 10" and 12" S-T229-10 Packaging Dimensions 5.75 in. x 3.35 in. x 1.3 in. 10" and 12" S-T229-10 Weight 0.429 lbs. 14" and 16" S-T229-14 Packaging Dimensions 5.75 in. x 3.35 in. x 1.32 in. 14" and 16" S-T229-14 Weight 0.443 lbs. 15" and 20" S-T229-15 Packaging Dimensions 5.75 in. x 3.35 in. x 1.33 in. 15" and 20" S-T229-15 Weight 0.434 lbs. 7.25" and 9.5" S-T229-725 Packaging Dimensions 5.75 in. x 3.35 in. x 1.27 in. 7.25" and 9.5" S-T229-725 Weight 0.418 lbs. 1 answers What type of wood are these sanding blocks made from? Hi, these sanding blocks are made of various hardwoods. They are very high quality sanding blocks made in Japan. 1 answers What is the length of the block? The block is 6" in length. 1 answers What is the width of the block? The sanding block without the magical name stamp, works just fine.